Panasonic India Pvt. 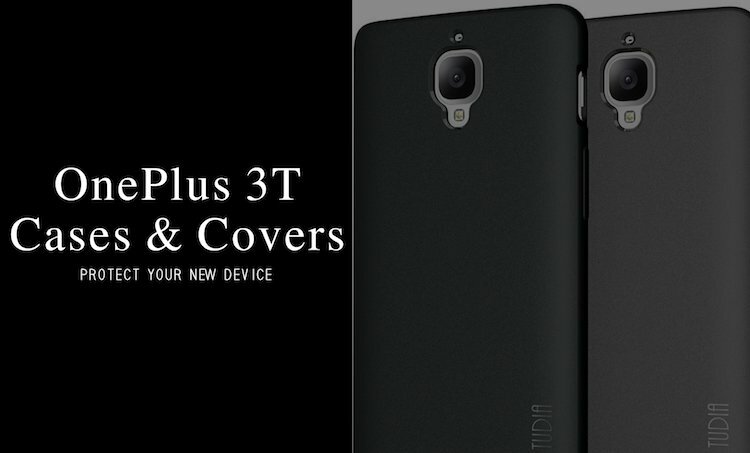 Ltd, one of the most trusted brand in the world of electronics launched the latest phablet of Eluga series on Monday called as Eluga Note. The phone has an adorable look and includes high-end components with amazing features. 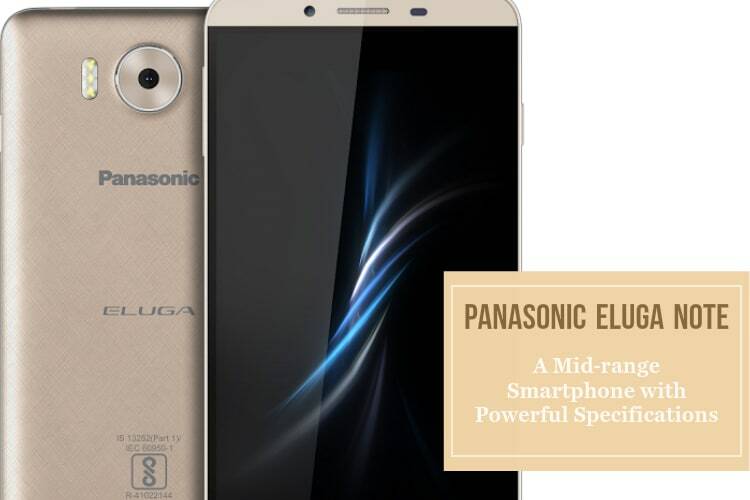 Panasonic is well-known for its creative solutions and user-friendly technology which reflects in Eluga Note as well. As far as the cost is concerned, the phone comes at a very affordable price. Here we are going to give you a detailed information about the specifications and functionalities of this phone, let’s have a look. Despite of having a large screen, the Eluga Note phablet can be easily handled with a single hand. The phone has an elegant design and a textured finish of its Removable Back Cover provides solid grip. 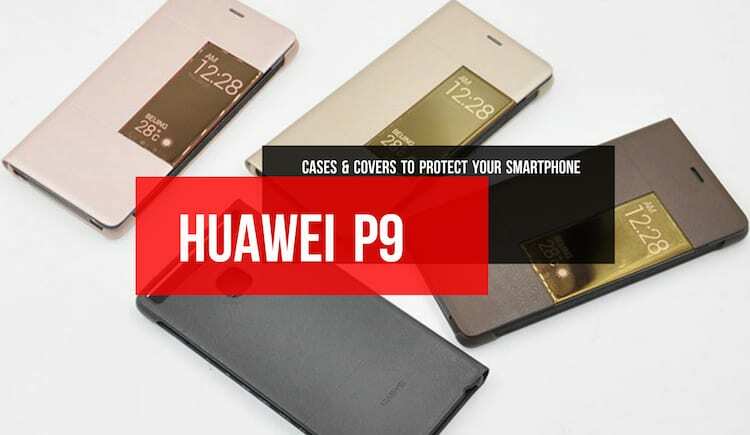 It has a large 5.5-inch full-HD IPS display along with Low Temperature Polycrystalline Silicon for low consumption of power and bright display. The phone is light weighted and weighs only 142 Grams. The dimensions of the phone are 146 x 74.5 x 8.15 mm so it can be considered as a slim phone. 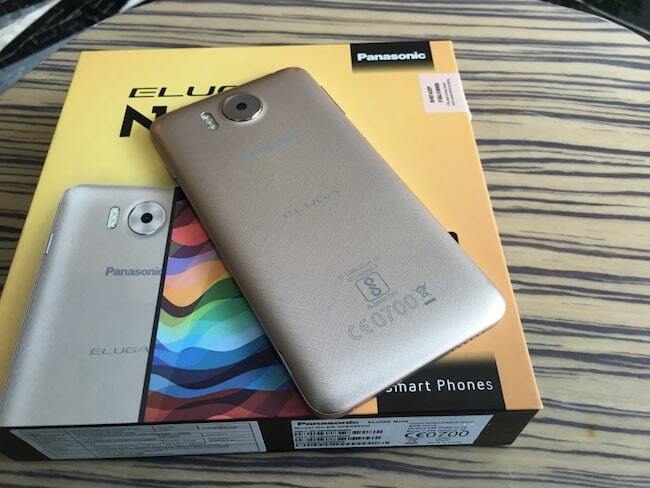 The Eluga Note is available in Champagne Gold colour and looks very attractive in that. 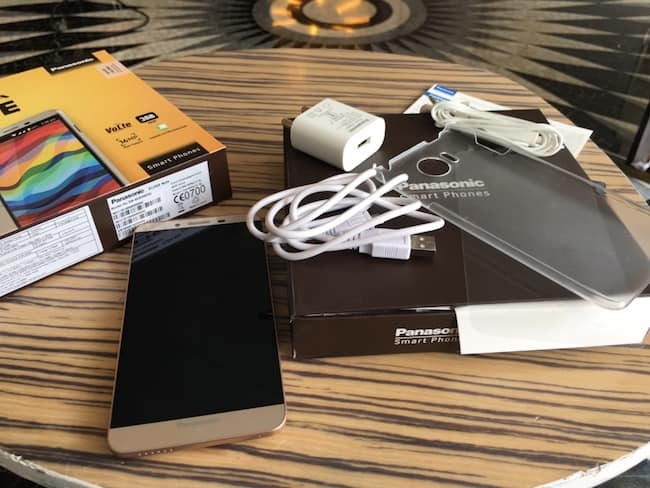 The accessories you get along with the phone are USB Charger as per Indian Standards, Handset, Battery, Ear Phone, Screen Guard, Phone case, Quick Start Guide and Warranty Card. 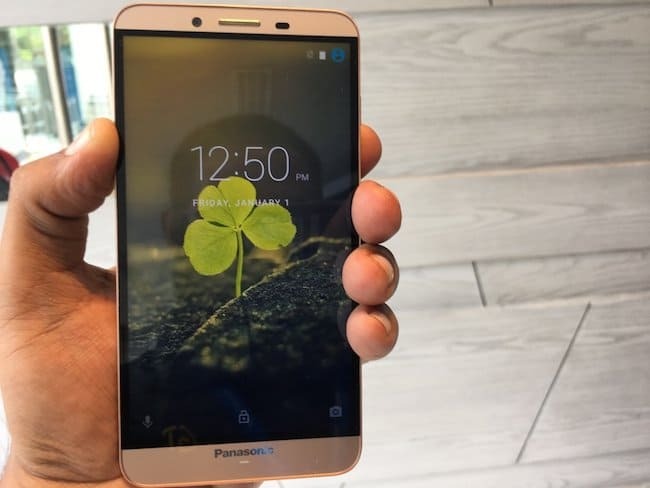 The Eluga Note runs on the latest Android 6.0 ‘Marshmallow’ operating system with the Panasonic FitHome user interface which is developed by Panasonic to use applications on home screen with a single flick of your thumb and lets user operate bottom half of the screen with one hand. The phone is powered by 1.3GHz Octa Core processor. It comes with 32GB Internal memory which is expandable up to another 32GB along with 3GB RAM. The phone also includes sensors such as Accelerometer, Ambient Light and Proximity. You can autonomously operate your Infra Red based home appliances via the IR Sensor with Smart Remote Control App. To make sure your phone is secured, it has Mobile Anti-Theft feature. The Smart Manager App provides a general review of your battery, storage and other accessories. One of the best feature in the Eluga Note is its 16MP Rear camera with Triple LED Flash which lets you take perfect pictures in low light situation by making the flash more realistic. The combination of wide 6p lens for ultra-fast auto focus and F1.9 aperture allows more light and increases the shutter speed and results sharp images of moving objects from a distance. In other words, this camera has the ability to take high quality pictures in any condition, be it a cloudy day or sunny. Voice capture Feature that captures your words and takes shot. Gesture based shot feature that starts the timer after recognizing your palm and gives you time to be ready for the shot. We don’t buy a smart phone to make phone calls only. There are many things we do on a daily basis that must require a strong battery backup and that’s why most of the buyers look at the power capacity of a smart phone first. The Panasonic Eluga Note is packed with a powerful 3000mAh Li-Polymer which makes it highly preferable for such users. Wireless connectivity standards of this phone are also high as it has Wi-Fi Direct, Wi-Fi Hotspot and Bluetooth 4.0. The phone also includes FM with Radio Data System (RDS) and A-GPS. The phone supports network bands such as GSM frequency bands GSM (850, 900, 1800, 1900 MHz), UMTS (900, 2100MHz), 4G LTE and VoLTE. It seems like Panasonic is trying to attract the youth by keeping the price low of its smart phones than its competitors. The Eluga Note falls under the category of mid-range smartphones and priced at Rs.13,290 in Indian market. 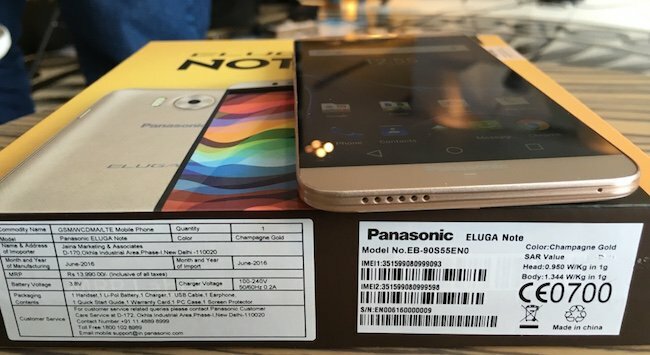 The company has confirmed that the Eluga Note will be sold by offline retailors across the country. 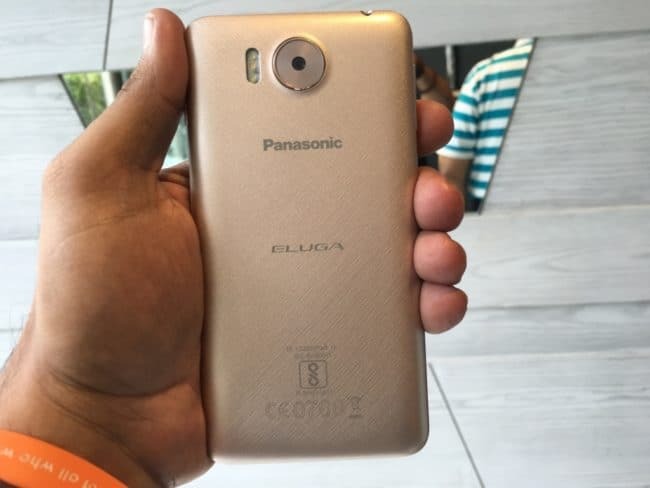 The previous phones of Panasonic Eluga series are appreciated by their users and that’s why they have high expectations from the Eluga Note too. After going through the details we can say that this phone has of capable of delivering high performance and fulfil the requirement of its buyer.